You’ve likely heard the coined phrased, “make money while you sleep.” You’re probably thinking, “how in the world do they do it?” Well, for most people making money online and 24 hours a day, they’re using affiliate marketing to make it happen. How would your life change if you were making money every hour of the day? That’s the dream, right? Making passive income from home. So, what does everyone mean when they talk about making income as an affiliate? By definition, affiliate marketing refers to the process of selling someone’s product or service for a commission. The concept, you can make money by promoting someone’s products or services. When someone is tracked using your affiliate URL and they make a purchase, you get paid a commission. It’s really that simple. In it’s basic form, it’s a revenue sharing model. You have a product you need to sell. Let’s say this product cost $200 just to make it easy. You can start an affiliate program and begin recruiting affiliates to help you sell that product. You can offer them a commission for each sell they make. If you offer a healthy commission and it’s a great product, it can gather attention from other online marketers. If you give them a 40 percent commission, they can make $80 a sell. There’s 4 parts to every affiliate program. The Merchant: This is the creator of the product. Also called the vendor or seller, the merchant is responsible for the product that will be sold. 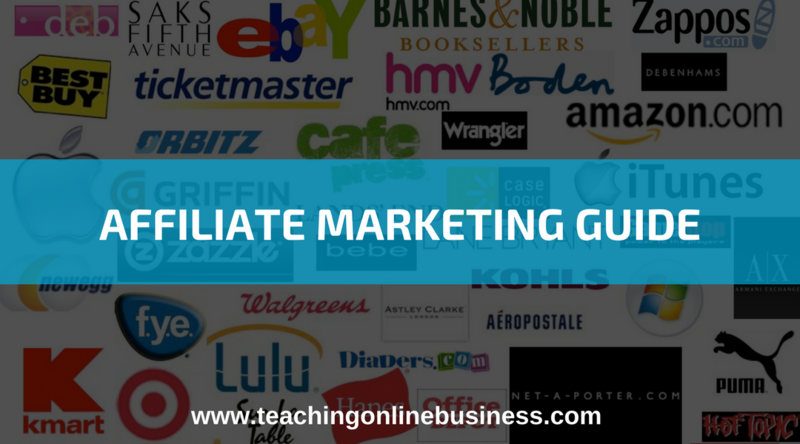 The Affiliate: The affiliate is responsible for marketing and advertising the product. Some companies are known as affiliate marketing companies as their business model is centered around selling others’ products. You’ll find some affiliate companies consist of thousands of staff while other affiliates are single entities. The Customer: The customer is who makes everything possible as they’re the purchaser. Without them, the whole model fails. Also labeled as a consumer, the customer is who the affiliate needs to reach for the model to be successful. The Network: Networks are indeed a big part of affiliate marketing. For what ever reason, many don’t want to include it in the affiliate marketing model. Networks consist of merchants, affiliates and companies that are dedicated launchpads for multiple affiliate products. I would label ClickBank and CJ Affiliates as an affiliate marketing network. While ClickBank and CJ Affiliates are dedicated to hosting affiliate products for their network to use, Amazon is an example of a a huge affiliate network. Now, there’s really only 2 levels to affiliate marketing. You can become a merchant, which means you’ll be responsible for creating the product. You can then start your own affiliate marketing program and begin recruiting affiliates to sell your product. Or you can become an affiliate marketer. Most people choose to become an affiliate first as it’s the easier route. All you have to do is find an affiliate program that you like and join it. Get signed up, get your affiliate link and you can get started promoting it right away. I have a 5 step framework I follow for building affiliate merchants. A lot of people struggle in this area, the initial concept of a product. If you’re having trouble creating product ideas, let me help you get your creative juices flowing. Don’t start from scratch. Even though you’re generating product ideas, you likely have some idea of what you want to do. Start there, go check out similar products and review what’s on the market. You can use Google to find anything. If you don’t have a product idea yet, think about your passions and what naturally interest you. What gets you excited? What do you know a lot of? Let’s use an example. Let’s say you’re going to build a new drone. Looking at the available drones from our Google search, we see one product that has 2,093 reviews and is selling at $999.99 per unit. When I click on the result, I can see there’s 79 questions asked on this product and 441 answers. This is real customer feedback. Perfect! I can read this feedback and see what they like, see what they don’t like and I could create a better product. I have immediate access to 1,896 reviews. I see this drone has a 4.8 customer rating out of 5.0, which is super high. I can read the reviews, I can get real customer feedback to why they bought it, how well it works, if the price point is justified. Reading reviews and gathering feedback, many people wanted a drone that could easily fly. After all, nobody wants to wreck their $1K drone. You should be taking notes, making sure you highlight the good, bad and ugly. As I’m reading through countless reviews, I noticed a pattern. Patterns are great. Two complaints that stick out is the gimbal errors and bad customer service. Nobody wants to keep sending their drones in for repair, especially technical glitches. BINGO! Here’s real common problems with a great product, now I have a starting point to making a product similar but better. Don’t just rely on one website, get as much feedback as you can. It’s simple and easy, but it does involve a little time. You need to know the market, but these are some of the most effective ways to learn exactly where your opportunities are. You can research any type of product idea, just go out there and look. The last thing you want to do is spend tens of thousands (more or less) and countless man hours to create a product that nobody buys. That’s a huge mistake that can sink your product and business. DON’T DO IT! Rather, we want to take our product idea and validate it with the market. So, how can we avoid building an actual product and still make sure our product is going to sell? We do this by validating your product idea by asking others to buy it. Simple, right? Here’s how we do it. We pre-sell the product idea. We ask potential customers if they’d be interested to buy it. Some product ideas need little validation. In the case of our drone idea, there’s enough evidence in the market to know drones are going to sell. With this idea, we need to know how to build a better drone. We need to look at features and user experience, among many other data points we could gather. One recommendation I’ll give you is a Facebook group. With a group, you can start building an audience. In my case, I’d build a page about drones and get people to join. I’d start introducing my concept and see if they would buy it. 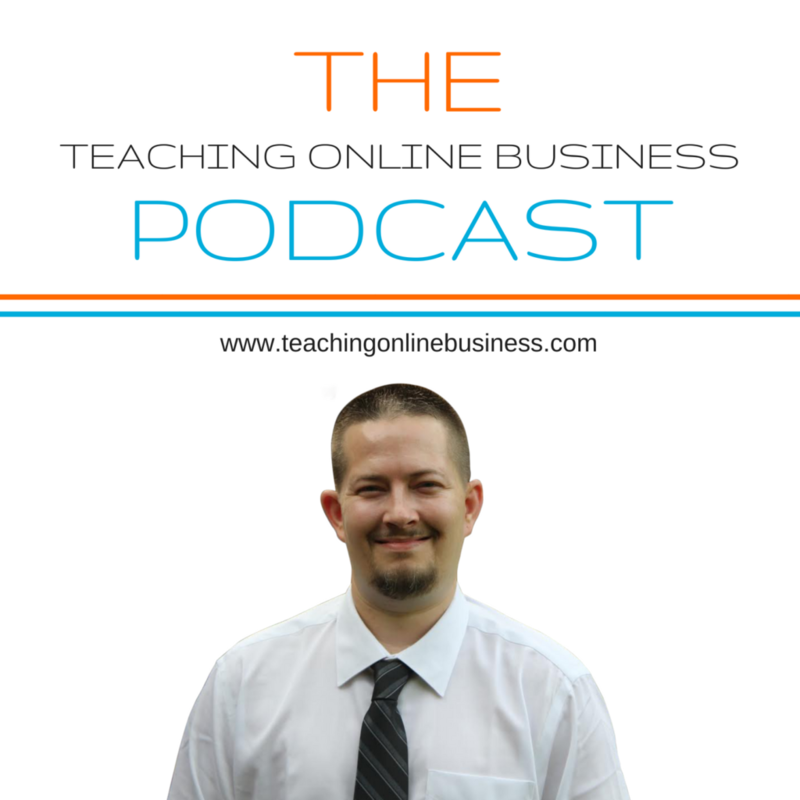 I started Digital Marketing Entrepreneurs to build my audience for Teaching Online Business. My community helps me determine exactly what the market needs thanks to their feedback. In return, I give them free content on growing their business, incentives and products that will change their life for the better. You can’t be afraid to ask. At this time, you came up with a great idea and you validated that product idea. Now, it’s time to start building the product. When it comes to building your products, there’s a thousand different ways you can run. Let’s talk about the top 2 product types you can build. Physical Products – Physical products are products like you see at Walmart. These are products that you can physically touch and use. Digital Products – Digital products are products that are sold online. These products may be a physical product or an online product. Now, selling a digital product is going to be easier than having to make physical products. With a digital product, you can create it and duplicate it easily. With a physical product, it’s going to cost money to create products. I don’t want to scare you from creating physical products, but I do want you to know the related expenses you’ll endure. This is why digital products are much more cost effective when compared to physical products. It’s called a beta test and the purpose of this first launch is to make sure the product is giving your customers the results they expected. A beta launch is a small launch to a select few customers. You’ll rely on the group to give you feedback on the product. This is very important. Before you do a major launch, you want to make sure it works great. You don’t want to do a huge launch and customers not be fully satisfied. By keeping it in a small test group, you’ll have the opportunity to fix anything that needs fixed and improve your product where it’s needed. Once that’s done and your product is the best it can be, it’s time to do a full launch. With the test group, you can answer any questions you may have and you get the opportunity for real feedback for improvements. The day has finally come and now it’s time to launch your product and find an affiliate program. With a program like ClickFunnels, launching your own affiliate program is simple. ClickFunnels is a software that allows you to build sales funnels, membership websites and affiliate programs. There’s also affiliate programs like Gumroad, but with far less features and functionality. If your product is niche specific, you’re going to have a lot more opportunities for affiliate opportunities. You need to find your target audience, but where do you start? A simple Google search is more than enough to get started. For those of you that want to become an affiliate marketer, the opportunities are endless. There’s hundreds of thousands of businesses that offer affiliate marketing programs you can join for free. You need to think about what you interest you, what you have passion for and choose a product that would be fun to sell. Let’s look at the largest affiliate marketing program in the world, Amazon. Amazon has countless products you can sell and make commissions off. From books and cookware to computers or watches, there’s literally millions of products you can sell. All you have to do is sign up to their affiliate marketing program. While Amazon’s commissions are only a few percent, other affiliate programs pay up to 50 percent commissions and more. Being an affiliate marketing is one of the simplest ways to start an online business. Even so, there’s a series of steps you need to take to increase your chances for success. It’s important for your business to be very specific. Sure, you can start an ecommerce store and list a bunch of products, but it’s difficult to get started making money with multiple niche products. I’d recommend starting in a niche you know, a niche you have a passion for. My passion is marketing and business. If I was going to start a new affiliate marketing business, I’d focus in those niches because I know it well. There’s a ton of profitable niches you can get started in. Here’s a few ideas to get you started. Next, you want to join affiliate programs you’d like to be a part of. Affiliate marketing networks are a great place to start because some of the largest have thousands of affiliate marketing companies in their database. Here’s a list of some of the largest. (Keep in mind, you can do a niche Google search to find other affiliate marketing opportunities. Your list is your license to print money. The more emails you have, the better. This is another reason we focus on a niche to start. You’ll be looking to build a target audience for what ever it is you’re going to sell. This is where sales funnels are super effective. ClickFunnels is the software I recommend and you can get started with a 14 day free trial. How can you get started collecting emails? You need a free offer, give away something free that your target audience needs. With ClickFunnels, you can set up a free offer in a matter of a few minutes. This is my custom built automated webinar funnel built in ClickFunnels. With my webinar funnel, I can introduce an affiliate product and educate my audience throughout the presentation. At the end of the webinar, I give my offer, a CTA or a next step. You can get my custom funnel here. Now, you still need an email marketing solution. For email, I recommend Active Campaign. With Active Campaign, I can integrate my email with ClickFunnels. I can build automated email sequences so I don’t have to be personally involved all the time. With Active Campaign, I can build specific list for each affiliate product I offer. Funnels are not the only way to build your email list. You can also collect leads to grow your email list with your website. You can add forms, popups, exit technology, optins and other offers. Remember, 95 of consumers don’t buy on the first visit. This is why it’s vital to get a name and email so you can continue to build a relationship with your audience. This is such an important step. Most of your affiliate sales will come after the initial contact. If you don’t have a name and email, you can’t have this conversation. If you can’t have the conversation, you won’t see many (if any) sales. It all starts with getting a name and email. From there, you educate your audience on what it is you do. If you’re selling a cooking set, you want to create content focused on cooking. There’s a wide range of different content you could create for your target audience. At the moment, video content is what’s doing best. No other content type does better, so I recommend adding videos to your content delivery systems. Video is not the only type of content you can create, you have blogs, webinars, quizzes, whiteboards, cheatsheets, infographics, guides or PDFs. Lastly, it’s all about growing your affiliate marketing business. 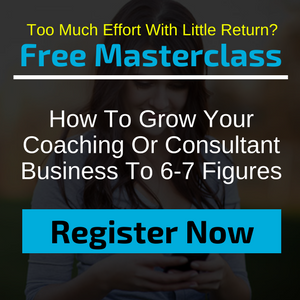 One awesome resource is our free Facebook group. We have a ton of tutorials on growing your business. We also have the Digital Marketing Accelerator training course. This is our premium course that teaches you everything you need to know about digital marketing and growing a successful business. There’s a lot of ways you can grow your business. Social Media – Choose the best platforms specific to your niche. SEO – Target specific keywords your target audience is searching for in your niche. Google Adwords – Target specific keywords and pay Google to send them to your website and landing pages. Facebook Ads – Use Facebook ads to collect new leads and sell products. Lastly, you should be documenting everything you do. You should always be focused on optimizing your affiliate business. What’s working for you? What’s not working for you? What brought the best results? What campaigns brought in positive ROI? Are you testing different images? Different ads? Different keywords?